I generally don’t use topical stuff or supplements. Even when I have a good remedy, I have a bad tendency to forget to use it. Arnica is my big exception. Arnica montana is an herb that has natural anti-inflammatory properties. It makes a terrific topical oil for bruises, sprains, and strains. It’s fantastic for reducing inflammation in the area and speeding up healing. 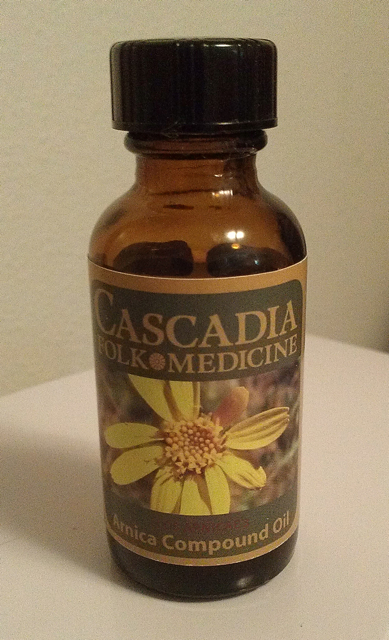 I have a source for organic, locally-grown, hand-picked, hand-processed Arnica oil. It also contains a little St. Johns Wort for antibacterial and anti-inflammatory effects, and olive oil so it soaks into the skin. I prefer topical application to the pills, because it puts the medication where you need it, rather than spreading it out over the entire body, and because in high doses, taken internally, it can be toxic. In all my years of martial arts, personal training, and running an acupuncture clinic (not to mention my own boo-boos), this is easily the best preparation I have found. It’s far superior to the multitude of diluted oils, creams and homeopathic pills generally available (most contain only small amounts of arnica), and that’s why it’s the only product I carry. I have bottles for $15 – swing by and pick one up! Use on unbroken skin only, please, and of course discontinue if your skin is irritated. I had a gentleman ask me last week if I had heard of “dry needling” and if I ever did it. 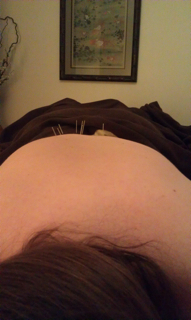 I was flabbergasted… Dry needling is what acupuncture is called when non-acupuncturists do it. Wait – that’s not quite right. It’s what using acupuncture needles is called when someone else does it… but that doesn’t make it acupuncture. True acupuncture requires an understanding of a complex system, while most “dry needling” courses are surprisingly brief. When comparing acupuncturists vs other practitioners as providers of therapeutic needling, some interesting things come to light. I feel very strongly that the various types of medical providers each have their areas of expertise. A bad injury, a serious infection, and organ failure are just a few of the problems that would send me running to “Western” modern medicine. But in some cases – chronic pain, healing after an injury, neurological repair, anxiety, etc. – acupuncture is highly effective. So….Why not just have your doctor do it? There are some advantages to doctors doing acupuncture. First, they have a more extensive knowledge of anatomy than the average acupuncturist. I was very lucky to get to work with cadavers when I was at chiropractic school – most don’t. 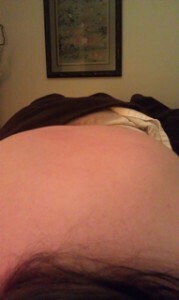 Secondly, the procedure is more likely to be covered by health insurance. Unfortunately, there are also some disadvantages. Doctors are usually MDs first, and have taken a seminar on acupuncture. This course is a few weekends of instruction. They learn a handful of “recipe” points that are based on symptoms. Some people doing “dry needling” are physical therapists or chiropractors. As a comparison, I have a Master’s degree from OCOM, which consisted of 3,344.5 total hours, including 996 clinical hours. I learned about the Zang Fu organs, the channels, and the 1000 points and how they interact. Doctors usually don’t spend much time getting to know every detail of your medical history. They tend to have 10 minutes for the whole appointment, and focus purely on your “chief complaint” as we call it in medicine: the main reason you came in. Traditional Chinese Medicine (TCM) is holistic. I prefer to take an hour with my patients. We examine the entire body, not just an isolated part, and our diagnosis is dependent upon that global perspective. For example, you may have a headache due to Liver* Yang Rising, or Qi deficiency, or a Wind Invasion. Or look at it from the other direction: A single diagnosis, such as Kidney Yin Deficiency, can cause varied symptoms like menstrual irregularity, anxiety, vertigo, night sweats… you see the problem. This is why I ask all those rude questions (sorry) in a 10 page form when you come in. What your menstrual cycle is like can actually help me determine how to treat your digestive disorder. When doctors, chiropractors, and physical therapists use dry needling, especially for internal medicine, their results are not as strong as when a TCM trained practitioner wields the needles. I see this in a lot of research studies that “prove” acupuncture “doesn’t work.” It’s roughly equivalent to testing antibiotics for a runny nose, without separating out bacterial infections from viruses and allergies, then claiming that pharmaceutical drugs aren’t effective. In this article, a doctor writes about needling. The myofascial part is spot on, but he’s missing the energetic component. Some of the points work on areas far away from where the needle goes! LI-4 and LV-3 are beautiful examples of powerful points that don’t really make sense with the Western understanding of anatomy. 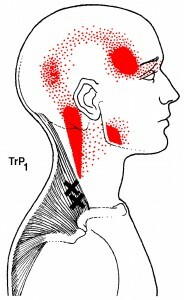 If distal points like the hands, feet, scalp and ears are neglected, the treatment may be weaker than ideal. It’s something to think about when comparing someone offering dry needling vs a true acupuncturist. People with only basic anatomy training like massage therapists, and physical therapists doing dry needling? Super bad idea – and the reason there are so many news stories about dry needling pneumothorax (collapsed lung) problems created by physical therapists. Acupuncture needles are controlled as a medical device, because they really shouldn’t be used by amateurs. Dr. Andrew Weil, M.D., agrees that TCM training should be comprehensive. *Remember that in Chinese medicine, capitalized organs are energetic concepts and should not be confused with your anatomical organs. I usually forget to take Before and After shots but will try to make more of an effort in the future. They are so much fun! Here, we are looking along the patient’s back, from the head towards the feet. She came in with upper and mid-back tension. I found a series of 4 ribs out of place on the right side. After some gentle acupuncture and medical massage, everything was back where it should be and she was thrilled to find that she could take a deeper breath than before. BEFORE – note the slope of her asymmetrical posterior ribcage. AFTER – now her ribs are properly positioned, her back is even, and she can breathe more deeply!